The Jimi Hendrix Experience’s Electric Ladyland is being reissued with a massive 50th anniversary deluxe box set. Due on November. 9th, the album will be available as either a three-CD/Blu-ray set or a six-LP/Blu-ray set. Both packages include the original double album, which has been newly remastered from the original analog tapes. The vinyl set features an all-analog direct-to-disc vinyl transfer. 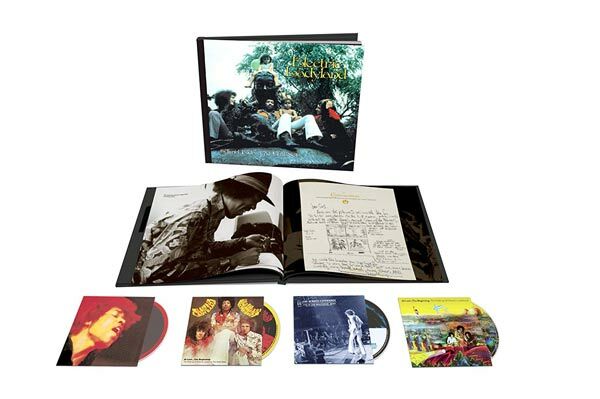 Among the set’s other highlights are Electric Ladyland: The Early Takes, which features demos and studio outtakes from the era; an expanded documentary on the making of Electric Ladyland; a book containing handwritten lyrics and unseen photos; Live at the Hollywood Bowl 14/9/68, a recently discovered two-track soundboard recording that’s part of Experience Hendrix’s Dagger Records official bootleg series; the feature-length documentary At Last … the Beginning: The Making of ‘Electric Ladyland’; and a new 5.1 surround sound mix of the album by original Hendrix engineer Eddie Kramer. This never-before-released 1968 performance at the Hollywood Bowl “captures the band and the mounting excitement that took place just weeks before the release of Electric Ladyland,” according to pre-release materials. 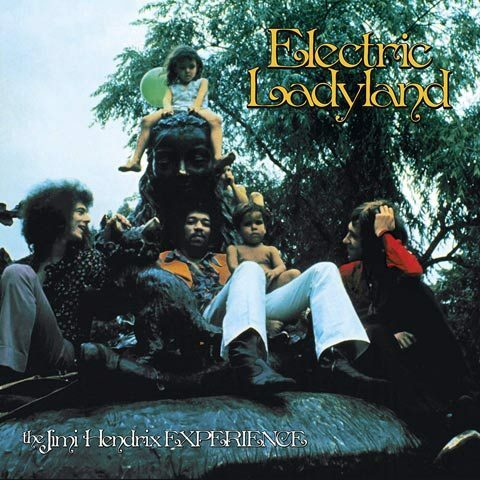 The late Linda Eastman (McCartney) took the updated cover art, which finds the Jimi Hendrix Experience and a group children at the statue of Alice in Wonderland in New York’s Central Park. This was actually Hendrix’s choice for the album cover image, though it was later relegated to the inside of the U.S. version. The U.K. edition infamously featured a gatefold photo of 19 naked women instead, a decision Hendrix never agreed with. This period found Hendrix expanding his musical sphere with a series of collaborators as his relationship with Experience bassist Noel Redding deteriorated. Jefferson Airplane’s Jack Casady played bass on “Voodoo Chile,” while Hendrix took over on many of the other tracks – including “All Along the Watchtower.” Other guest stars on Electric Ladyland include Steve Winwood, Chris Wood and Dave Mason of Traffic; Al Kooper; and Hendrix’s future Band of Gypsys bandmate Buddy Miles. Previously unreleased versions of “Angel Caterina” and “Little Miss Strange” on The Early Takes also feature a guest appearance by Stephen Stills. Kramer’s new 5.1 surround-sound remix showcases uncompressed 24 bit/96 kz high resolution audio, a first for a Hendrix studio album.